Home Share is a living arrangement between two or more people who reside together in the same residence. Typically each person has their own private space and share common areas such as the kitchen and living room. Household responsibilities can be shared, or services exchanged for reduced rent. Services might include grass cutting, gardening, snow shovelling, cleaning or pet care etc. Home Share is of mutual benefit to all and is about people helping each other. Young people working in Bayfield could home-share with an older person, giving the younger person convenient housing and the older person congenial company. Home providers receive help that may enable them to remain in their own home. Home Share can keep people in the communities they know and care about. 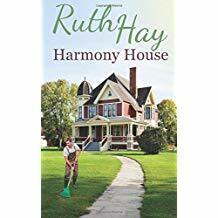 Review the Halton Homeshare Tool Kit, read “Harmony House” a novel by Ruth Hay, visit Nesterly and talk to your friends or to us at Home4Good. Consider the following before you decide whether to be a home provider or a home seeker. What is important to me in a HomeShare arrangement? How do I feel about living with someone? How will I handle disagreements? Am I comfortable expressing my needs and speaking up when something is bothering me? What interests and activities would I like to share with my housemate? How important is companionship to me? How comfortable am I with sharing common areas such as the kitchen and living room? What if there is only one bathroom? How important is it for me to know that my family, friends and loved ones support me in my decision of living in a HomeShare arrangement?